Oh boy, it has been a long time since I have done a group of mini-reviews. When I finished the last set of reviews for this section of the blog, I watched a few movies and then stopped for a very long time. Nearly a month, in fact. That was at the end of 2014. But when the new year began, I made a resolution to watch a hundred new movies before the end of 2015. This includes movies in theaters as well as ones on DVD, Netflix, TCM or any place online. So long as it is new to me, it counts as a new film. I am happy to say that, as of this blog post on February 16, I am now at 26 new films. I have posted reviews of many of these films already, including “The Theory Of Everything,” “Whiplash” and “Jupiter Ascending,” but have not had a chance to do anything related to the non-theatrical films I watched. It is time to fix that. At my last count, there are 18 films that I need to do mini-reviews of, so these are going to be broken up into two separate blog posts. With that said, let’s take a look at the first nine films I watched. An actor you will see popping up in these reviews is Spencer Tracy. Not by design, its just that TCM is showing lots of movies with him in it which I had never seen before. This one was a nice time occupier. Nothing truly stood out about the relationship between Tracy and Katherine Hepburn in this one, since they felt like they belonged on opposite sides of the planet. One is a sportswriter set in his ways, and the other is a political advocate who at first wants to suspend baseball until the end of WWII. Eventually, these two fall in love but can’t seem to find the time for one another. These two have very little in common, so their relationship is forced and comes off as unnecessary. It does lead to a great bit at the end when Hepburn attempts (and fails) to make Tracy breakfast, but even that goes a bit longer than it needs to. Nothing necessarily wrong or off-putting about this one, but it doesn’t do a great job at getting my attention in the first place. I saw this one because I missed Robin Williams. It only made me miss him more. 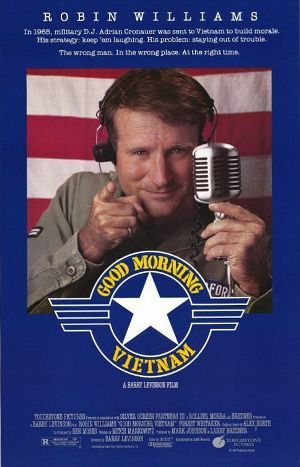 The sole reason to watch “Good Morning, Vietnam” is to watch the great improve skills of Robin Williams, while he hones his talent at being the clown with a heart of gold. Robin Williams, more than almost any other actor, understood the strife and pain that people go through, especially in war, and that talking about it does not make the problem go away, building relationships and memories can. And what better way to do that than through comedy? To people like Williams, laughter is the best medicine. It can heal wounds that the eye cannot see, mend broken hearts and revitalize the soul. A good movie to watch, just to remind us of the impact and scope of Robin Williams. This one is a creepy and other worldly love letter to silent horror films. While it is shot and acted like a documentary chronicling the story of how F.W. Murnau’s classic “Nosferatu” was created, it does add possible fictional twist – What if the actor Murnau hired to play Nosferatu, Max Schreck, actually was a vampire? I say possible twist, because the movie never directly says that he is a creäture of the night, but does imply it. 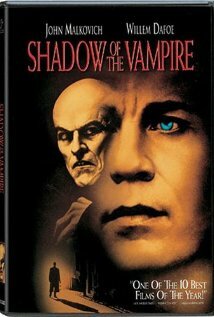 It could just be that Schreck is one of the greatest method actors of all time, and saw the chance to play a vampire as a challenge to his acting abilities. This guy grows his fingernails to absurd lengths, only acts at night, feasts on blood and desires to make others see his way. No no. Not the Disney version. Believe it or not, Disney was not the first to adapt this story to the screen. In fact, some argue that Disney is not even the best adaptation. This black-and-white version was made in France, under Nazi occupation, and was done on a shoe-string budget. You might be asking how they were able to make an actor into the beast and have everything in his castle come to life. Extensive makeup that took hours to put on, lots of extras, careful cinematography and expansive sets. That’s how. 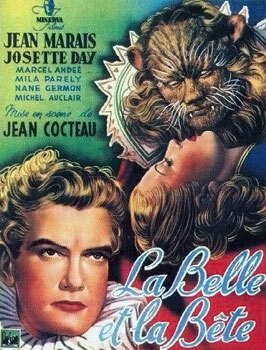 For that reason alone “Beauty And The Beast” immediately gets my respect. To be able to do so much, creating such a captivating fantasy with many other worldly scenarios like a wall of arms which hold the candles and the moving statues, all while being pursued by the Nazis and without the best equipment, this is a masterpiece. In case you were not aware, one of my favorite actors of all time is James Stewart. So to have taken so long to see one of his best performances comes as a shock, even to me. But now I do see why I took so long – his performance and life philosophy is the only good part about the movie. Everyone around Elwood P. Dowd (Stewart) is either insensitive, incompetent or both. They don’t seem to understand that maybe the giant rabbit that Dowd talks about constantly is real, or that it is none of their business and Dowd is not hurting anyone so they should just let him think whatever he wants. That being said, Stewart, as always, is the kindest soul imaginable and would give his right leg if it meant helping out a stranger. Like with “Shadow Of A Vampire,” you’re not too sure if he best friend the massive rabbit is imaginary or not, but by the end it doesn’t really matter. The existence of Harvey makes Dowd a better man who would rather be pleasant than smart any day. This one was a fun ride through its framing device alone. The way in which the story is told, as each important character in a scene will give a narration explaining their actions, gives insight into an event that would normally be dull and boring – a high school class president election. 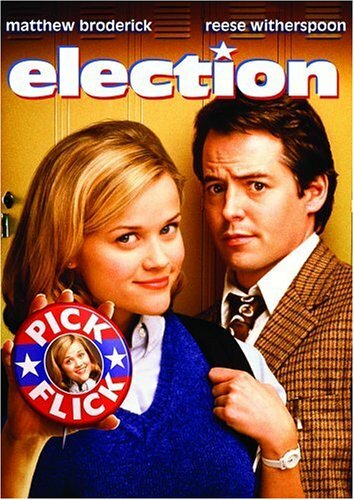 From the perky yet snobby brat who always wants to get her way (Resse Witherspoon), to the sexually deprived teacher who just wants to do his job (Matthew Broderick), to the quarterback with the broken leg who just wants other people to be happy, “Election” gives some great insight into the minds of these characters, making each of their actions logical, relatable and hilarious. 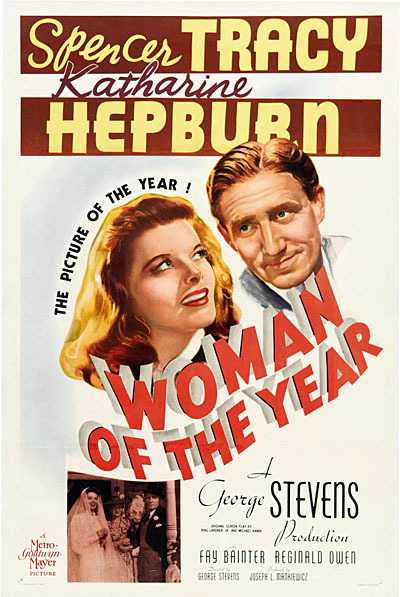 I could see this movie being featured on an episode of “Mystery Science Theater 3000.” But the difference between this movie and others featured on that show is that “Attack Of The 50-Foot Woman” is a good movie. Granted, it is an incredibly simple premise – A woman gets visited by aliens, she tries to explain what happened, no one can find any proof, her husband cheats on her, she gets attacked by the aliens, she grows to giant size and tries to kill her husband. But the film then spends the rest of the time making that story logical and serious. 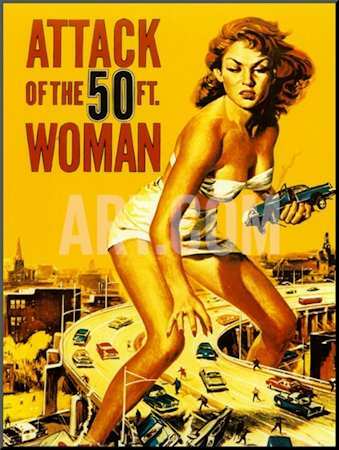 “Attack Of The 50-Foot Woman” never relies on camp or unnecessary comedy. In fact, the only comedy comes from the deputy sheriff that takes bribes and hits on women (even though he is married). A very simple movie, yet an effective one. It does not try too hard, but it doesn’t need to. 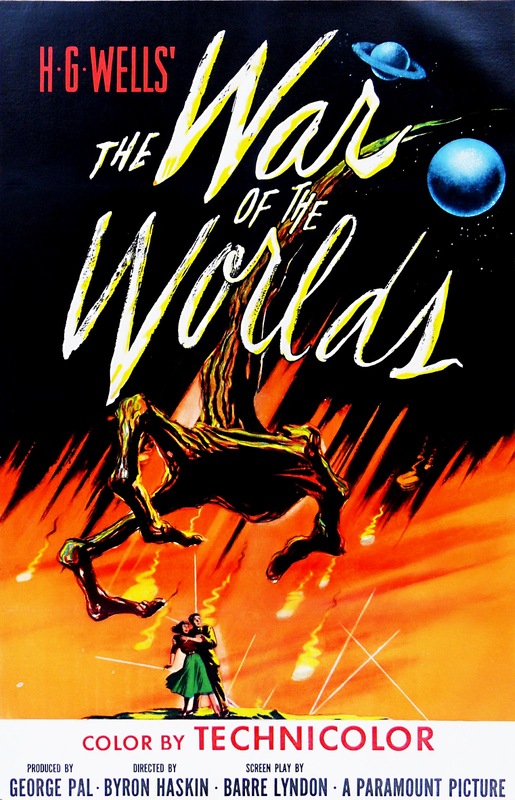 On the opposite end of “Attack Of The 50-Foot Woman,” we have “War Of The Worlds” which tries way too hard to be sophisticated and intelligent. While I do think the effects in this film are impressive, especially for their time, that is not enough to hold up the film. Especially when there are so few scenes of the aliens in the film. Much like the chase scene in “Bullitt,” that is basically the only thing people talk about with this film. My main problem with the 1953 version of “War Of The Worlds” is that it forces religion down our throats in nearly every scene. Religion that, by the way, is a human ideal. The humans in this film seem to think that the Martians would know all about Christianity and God, even though they’ve probably never seen a bible before, or would understand how to read it. They are from another planet, they do not have the same ideals or thoughts as us. These are creatures that can smell color and are harmed by the simplest of bacteria. I don’t think they know about Jesus, or care to learn about him. It’s like trying to teach a goldfish how to fix a car engine. Something just aren’t going to happen. This one is built entirely around the growing relationship between Barbara Streisand and Robert Redford. From the time they meet in college and grow to respect one another, to needing some company in a time of loneliness, to always wanting to be around the other, these two go through a long and complicated romance. It reminds me of “When Harry Met Sally…” but instead of letting the characters grow naturally and letting their surroundings make them realize that they do love each other, “The Way We Were” shows how their surroundings made them grow further apart from each other. The film moves quickly from one scene to the next and gives very little time to let their relationship reach its full potential, so the movie suffers for that. 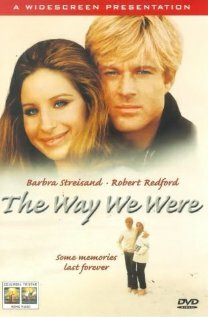 Overall though, “The Way We Were” certainly wasn’t bad, but like most romance movies, it does not do anything for me. Great acting from Streisand and Redford, but that’s about it. Join me in the next few days, as I’ll post another batch of mini-reviews of the other nine films I watched recently. With more Spencer Tracy, bad comedies and serial killers than you can shake a stick at. What a great, diverse selection of movies, all of which I’ve actually seen. 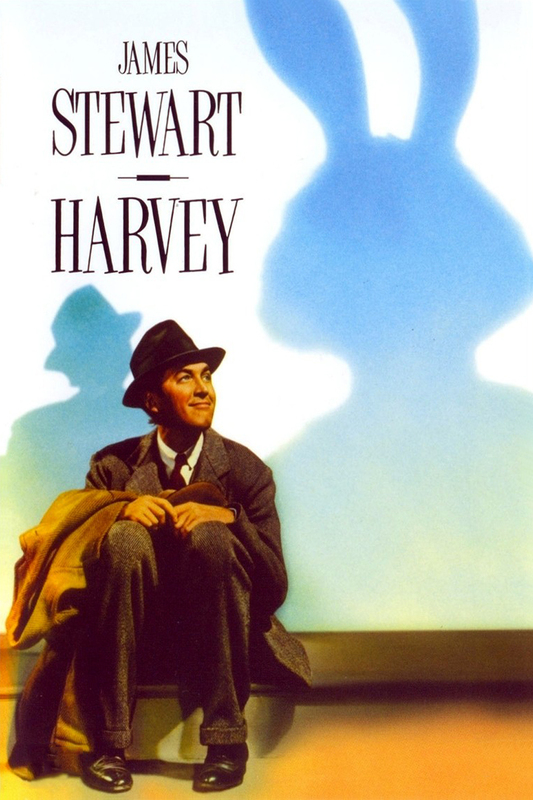 ‘Harvey’ is one of my all time favourites; I would gouge my eyes out with a rusty teaspoon before watching ‘The Way We Were’ ever again.